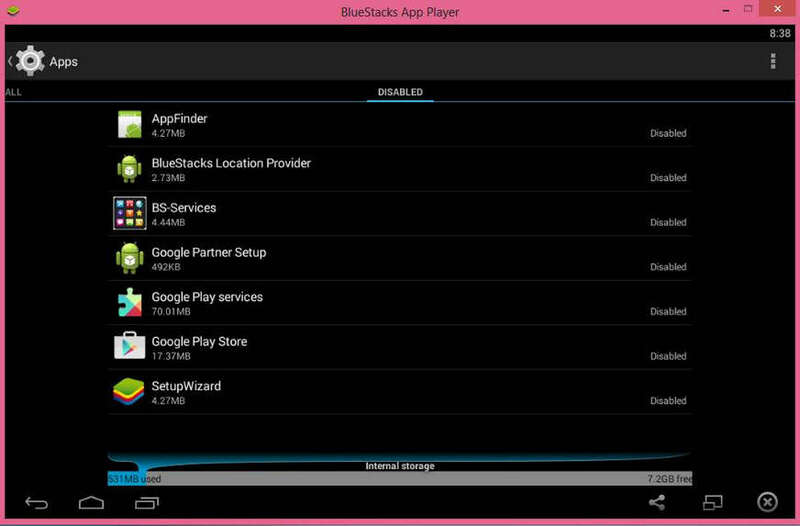 Bluestacks is the de facto Android emulator for PC & Mac aimed at people who either don't own an Android device, or just prefer to run their apps in a controlled environment. What made this particular emulator so popular, unlike others such as Youwave, is that you can get it free of charge, but you can also buy the paid version for the premium features. The "free of charge" label does mean that you don't get to complain when the program keeps downloading tons of unwanted apps and games to your computer without you knowing it. The apps download in the background and keep sucking on your bandwidth, which will cost you dearly if you're on a limited data plan such as 3G or 4G. Get ready to loose more than 100MB is a single day, not to mention the lags in your emulator if you don't have enough memory! 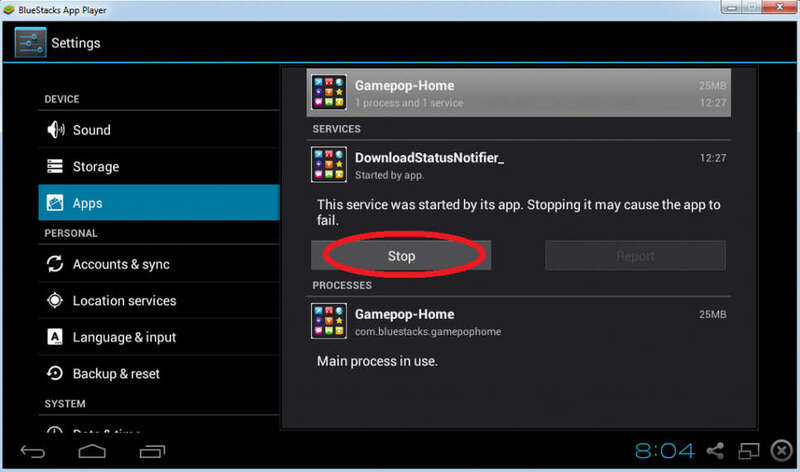 Most of the apps that Bluestacks installs automatically in the background come from a company called Gamepop. They use the revenue to support the free version of the app which is understandable. However, not giving the user a choice of the app they want to download is the biggest downside. That leaves you with two choices, keep using the free version of Bluestacks and loose money through data plan, or buy the paid version which costs around 20 bucks. DO NOT fret though, because we're here to fix that problem, read on! Grab your favorite launcher from the Play Store, but we recommend "Nova launcher" for its clean look and fast speed. Download that then move on to step 2 (don't miss 4). In the "Running" tab , select the apps, and "force Stop" them. 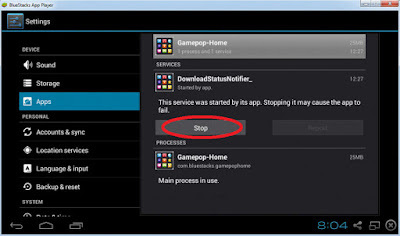 Now run that launcher you downloaded in step 2 and make it as default homescreen launcher. Remember though that you should not open the Gamepop home launcher again because it's the one responsible for automatically downloading junk apps. That's it folks, you now have a cleaner Bluestacks! if this trick didn't solve your problem on your PC or Mac then please do comment and let me know, but if it did do "Share" this post with anyone you know! Final note: There is another rooted version of Bluestacks that's more customizable and doesn't include any auto-update stuff. 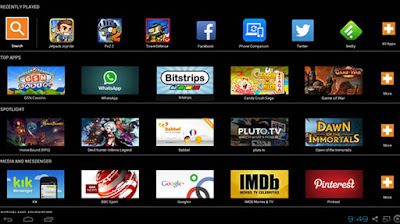 Just type "Rooted Version of Bluestacks" into Google, download it and you're good to go (avoid any untrusted sites)!